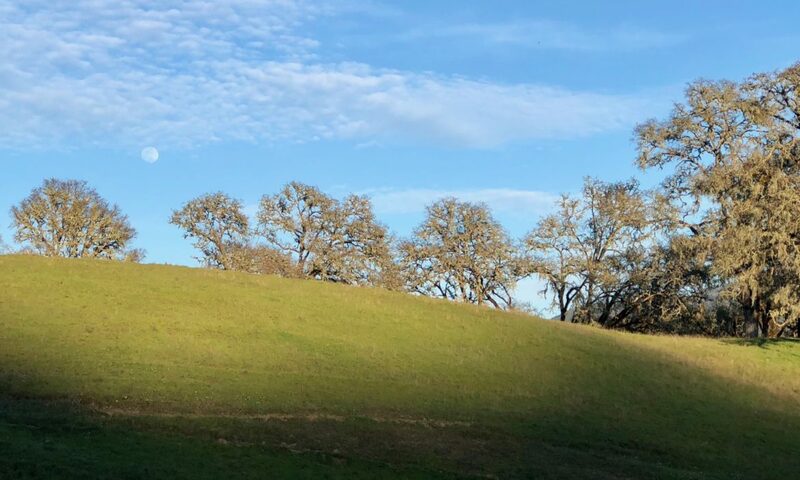 MENDOCINO Co., 1/17/19 — Spring is just around the corner, and with it, the hills and valleys of Mendocino County will burst into action. Most Mendonesians enjoy living close to — or along with — the natural world, but for many of us, there's still a lot to learn about what's actually happening in our own backyards. And that's where the California Naturalist Program comes in. The program, which is hosted by different organizations around the state and locally at the University of California Hopland Research and Extension Center, provides an opportunity to learn from local experts about the environment here in Mendocino County — everything from geology and hydrology to wildlife and native grass species — and receive a California Naturalist certification. Students of all ages and walks of life participate in weekly classes in Ukiah and field trips in Hopland running from March until May, and work on a "capstone project" with a local organization. After graduating, students join a statewide network of "citizen scientists," and can participate in ongoing California Naturalist projects or additional trainings. Course credit is also available from University of California at Davis for an additional fee. The U.C. California Naturalist Program returns to Mendocino in March 2019. This 10-week course combines a science curriculum with guest lecturers, field trips and project-based learning to explore the unique ecology and natural history of inland Mendocino County. Here in Mendocino County, we are intimately connected to nature, and our ecosystems statewide provide a home to over 40 million people. Our natural home directly influences our water quality, air quality, food production, and ultimately our health. We are responsible for maintenance, but California’s ecosystems don’t come with a user’s manual. A program of the UC Division of Agriculture and Natural Resources, the California Naturalist Program is designed for adults including teachers, docents, land stewards, natural resource professionals, and nature enthusiasts wanting to develop a sense of place and participate in service learning and stewardship of natural resources. California Naturalist has close ties with Mendocino County, as its director, Dr. Adina Merenlender, is a resident of Ukiah. The certification course has spread far beyond our community and is now offered at over 45 locations statewide. The Inland Mendocino course started in 2014 and now has over 130 certified California Naturalists graduates sharing their skills and knowledge with community non-profits and outdoor education organizations. One of the key aspects of the program is the Capstone project, an 8 hour volunteer service project that all participants complete. These projects frequently take place in conjunction with a natural resource agency or organization. Many naturalists continue this relationship with the organization as a volunteer following the course. 5,793 hours of volunteer time has been offered by graduates of the local program to community organizations in Mendocino since the course began. The class will take place at UC Cooperative Extension Offices in Ukiah on Wednesday evenings from March 13 –May 18 2019, 6-8:30pm. Five Saturday field trips will be held at the UC ANR Hopland Research and Extension Center and surrounding areas, including one overnight. More information can be found online at http://bit.ly/CalNat2019. Early bird registration ($390) ends January 31. The final registration deadline is March 14. The class is expected to fill with a waitlist. A limited number of need-based scholarships, up to $100, are available. Four quarter units of general academic credit are available for a fee upon completing course requirements. For more information about the course contact Hannah Bird, (707) 744-1424, Ext. 105, [email protected]. Press release from HREC, 1.9.2019.